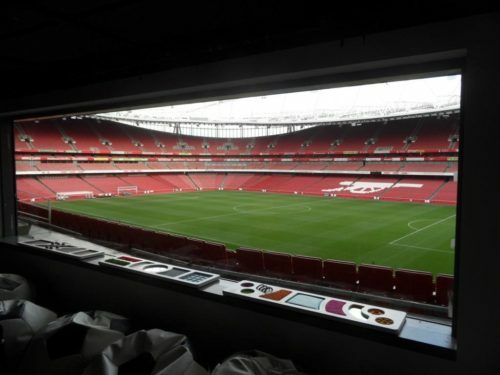 Arsenal’s set up is not just one, but two rooms in the Western aspect of the stadium at club level. 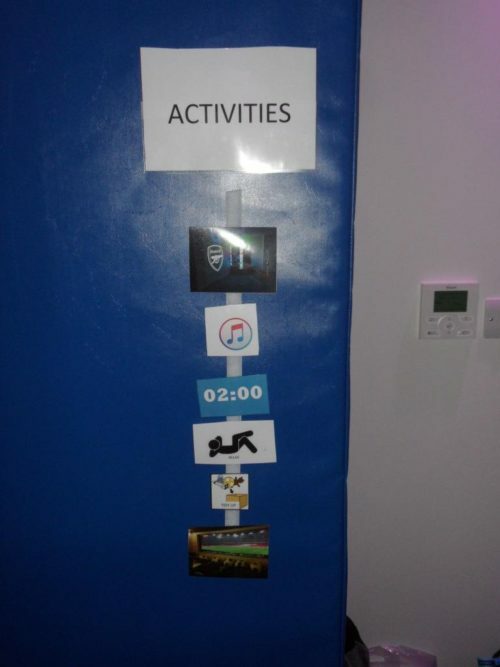 The Viewing room is configured to be quiet and calm, and the Sensory room to stimulate. 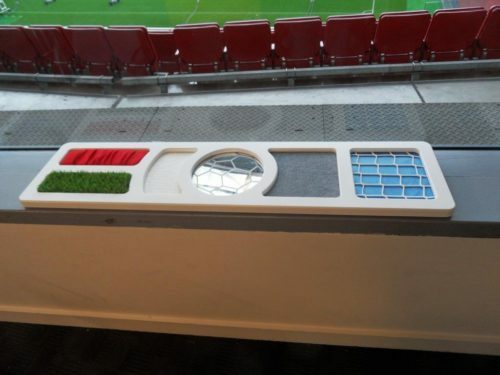 The Viewing room does exactly what it says: it is a room where the children and their parents can watch the Gunners in action. It is stark, sound proofed and stripped of most items, and provides a relaxing atmosphere to see the game. 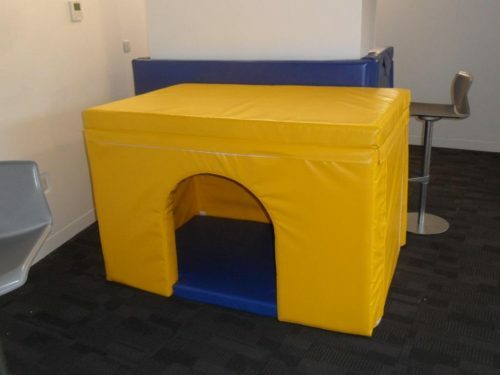 The only additions being six chairs, six beanbags, a set of tactile items near the window, and a yellow plastic house. 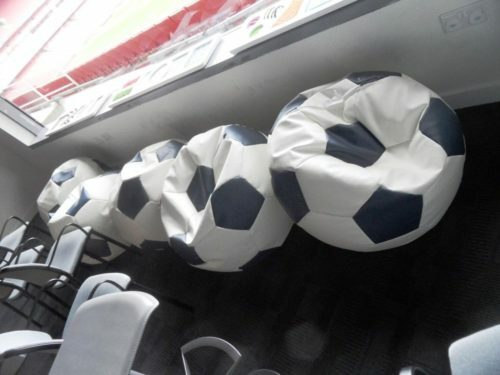 The six beanbags and chairs denoting that the room has a limit of six children per match. There is also an area where the child and parent can watch outside, if they want to. As autism is a spectrum and no two children have exactly the same traits, plans to place some more seats in the area in front of the viewing area, to allow those who wish to be involved in the crowd and get out there, but still in the protection of the boundaries and the ability to move inside if required. 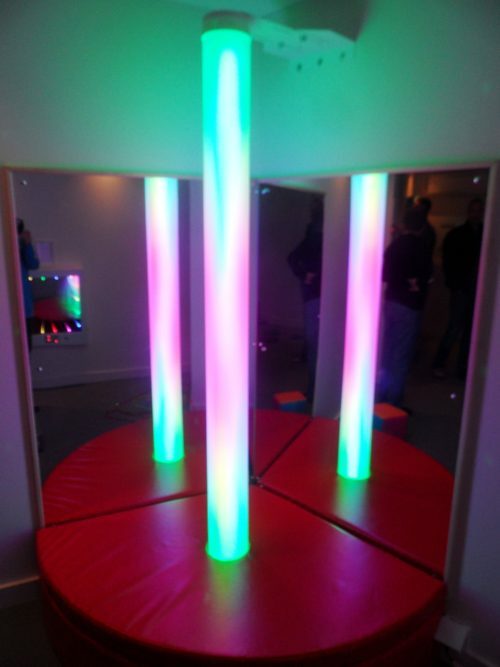 The sensory room is next door, offers no view of the ground and is enclosed. 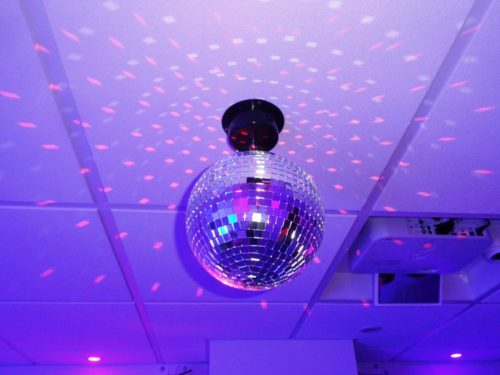 It contains a whole gaumont of sensory items: including a coloured electric tube, toys, an infinity window which glows and reacts to music and a 70s disco glitter ball. The centre piece is an Overhead projector with a vast array of applications beamed onto the floor for an interactive experience that is astonishing. Screened onto the floor via the projector, there is a virtual football game much like air hockey, and a ‘whack-a-mole’ game consisting of a lot of ex-players and the current manager’s images. There are a whole list of different entertainment and educational images, it is too long a list to describe and has so many settings it was not possible to show us all. 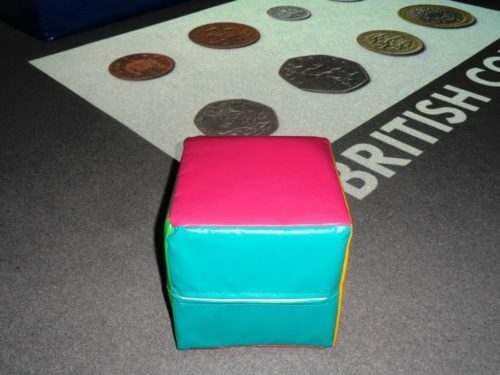 My personal favourite item is the large plastic dice that, when thrown, changes the colour of the ambient lighting in the room to the colour of the square it lands on. So one minute the room is in blue and the next it is green, it’s all chance! To be honest Andy and myself could have spent hours in the sensory room, finding out how all the games and interactive devices worked. It is such an excellent concept made real – that words or still photos don’t really describe its sheer creative brilliance. The way in is to contact the Arsenal Community or Disability teams: @AFCCommunity or @AFC_Disability ; and ask if you can take your autistic child to a game. A guest list is then formulated on demand. Obviously, a parent insisting their child can only be considered to watch the Spurs/Man Utd/Chelsea/Man City game with you in attendance may well get short shrift. This is set up on a needs basis with the needs of the child being paramount. The maximum age is 18 owing to safeguarding issues, but the club would consider taking into account a whole older group with special needs for one game. It is run by Luke and Dan, both of whom are top fellows brimming with ideas to improve the experience on match day in this room, and who obviously both love their work. This really is the kind of enterprise that does make you proud of the club.